On Wednesdays we are thrilled to fling open the doors to all of YOU! We love hearing your stories…the lessons you’ve learned, the roads you’ve walked, the dreams He’s planted in your hearts! Today we are excited to welcome Leeanne Burda to God-sized Dreams. She shares the story of the lessons she has learned about God through the stories of David. Thanks for being here today, Leeanne! It happened, late one afternoon, when David arose from his couch and was walking on the roof of the king’s house, that he saw from the roof a woman bathing; and the woman was very beautiful. I have often had a love/hate relationship with King David. In many aspects you love him, of course. He is after all THE man after God’s own heart. That alone would cause us to pause and study his life, his story, and character. BUT, we can neglect to ponder the years in his life where egregious sin was present. If he was the man God sought after how did He fall so hard? And then, I realize, God’s pursuit of me is the same and I, too, turn aside from Him to other sinful things. 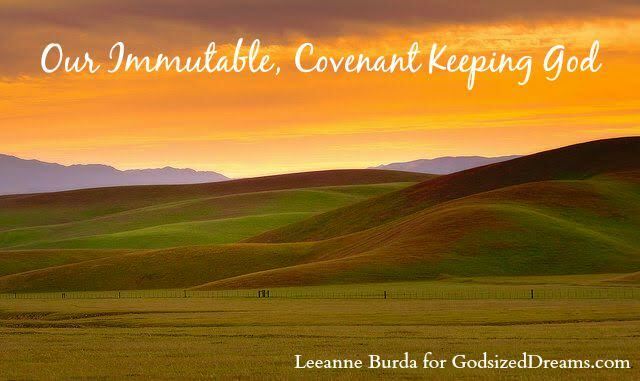 There were so many years he was far away from God, yet God in his immutable character, kept covenant with David and fulfilled the promise that out of his lineage would come our great King Jesus. As 2 Samuel 11:2 points out, “David arose from his couch and walked around the roof of his house”. In verse 1 we are given background that would lead us to believe David was not where he should have been. It states, “in the spring of the year, the time when kings go out to battle”. David should have gone out to battle with his men. He should have led legions of armies. He should have been the commander in charge. Instead, we see he was lounging on his couch in the middle of the day. My first thoughts of this story are “how in the world did he get so far away from the Lord”? Where did the drifting start? As we all know in life, it is in the slow, fading drift that we look back at the shoreline and realize how far away we are. The problem so many times in my own life is that I didn’t look back at the shoreline until the waves of my sin came crashing down. The idleness that was present in David’s life caused him to be vulnerable. (<====Tweet this.) He wasn’t where he was supposed to be. The free time David had gave great leeway for sin to enter in. It is important to note that busyness doesn’t mean we don’t have spiritual idleness. There have been many seasons in my life of great spiritual service and multiple ministry events yet I wasn’t drawing closer to Christ. I was idle in the rich, sweet fellowship of my Creator yet busy in activity. I was neglecting my first love and that caused me to lack the intimacy I desperately needed with my Lord. During these years in David’s life he wasn’t seeking the fullness of joy in his relationship with God. Psalm 119:18 proclaims, “open my eyes, that I may behold wondrous things out of your law”. As the story unfolds, we know David committed adultery with Bathsheba, she became pregnant, David plotted to murder her husband and he was killed on the front lines in enemy battle. It is at this point that 2 Samuel 11:27 says “what David did displeased the Lord”. I think these are some of the most tragic words in the Bible. “David said to Nathan, “I have sinned against the Lord.” And Nathan said to David, “The Lord also has put away your sin; you shall not die”. God spared David’s life because He cannot break covenant. Got Questions Ministries states, “This is an unconditional covenant made between God and David through which God promises David and Israel that the Messiah (Jesus Christ) would come from the lineage of David and the tribe of Judah and would establish a kingdom that would endure forever. The Davidic Covenant is unconditional because God does not place any conditions of obedience upon its fulfillment. The surety of the promises made rests solely on God’s faithfulness and does not depend at all on David or Israel’s obedience”. God himself did not waiver, bend, or change His mind. He was immutable because He had promised that out of David’s lineage would come Jesus Christ. AW Tozer in Knowledge of the Holy said, “The immutability of God appears in its most perfect beauty when viewed against the mutability of men. In God no change is possible; in men change is impossible to escape. Neither the man is fixed nor his world, but he and it are in constant flux. Each man appears for a little while to laugh and weep, to work and play, and then to go to make room for those who shall follow him in the never-ending cycle”. Are there areas of your life where spiritual idleness is present? Is there sin in your life that you need to repent? Are there people in your life to hold you accountable? Leeanne is a wife to Greg, Mom to 3 awesome kids : Rachel(6), Nolan(4), and Georgia(3). Before staying at home with her children she worked in Human Resources for a software company. Her passions include the local church, speaking, teaching, and world missions. In her free time (is there really any?) 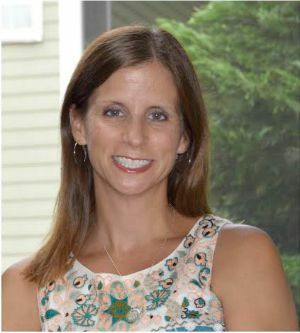 she enjoys reading, running, and watching her kids play sports. She resides in Raleigh, NC.